Hello, My name is Robert Mosby. I always like to know a little about the people I do business with so I thought I'd take a moment to introduce myself. I have been in the Oriental Rug business since 1969. I have always operated on a wholesale "to the trade" basis in the past, and now my wife, Holly, and I bring our World Renowned Collection of fine antique rugs to the public. I began my career 49 years ago in Cincinnati, Ohio working for Richard Markarian Oriental Rugs. Since the 1930's, Mr. Markarian has been considered to be one of the most respected names in the oriental rug community. I was fortunate to learn my trade from an old master. We deal strictly in handmade, one of a kind oriental rugs. We do not deal in mass produced rugs. 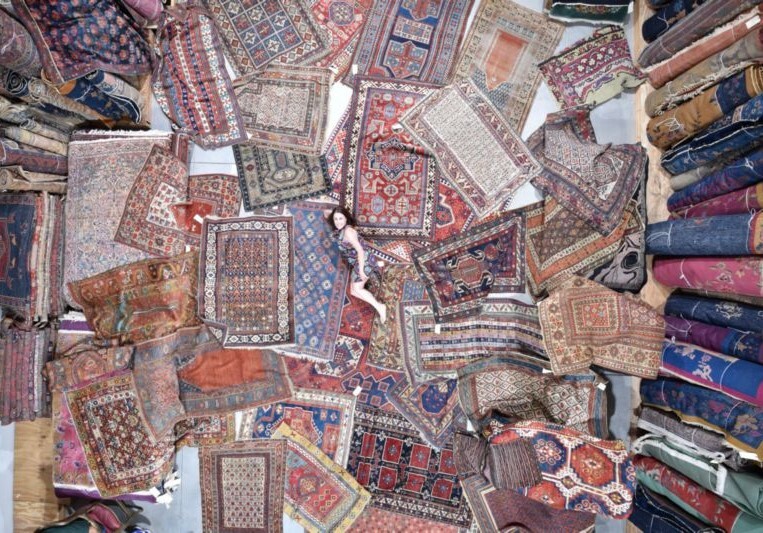 We travel all over the world to handpick the rugs we sell. You will see rugs on our site that are 'as good' or 'better' in design, age, and quality than in any collection, store or auction gallery in the world. If we put a name or age on a rug you can be sure it will be just that. Many of our rugs can be considered investment quality pieces. I have established a good reputation. Most dealers worldwide know me by name. Feel free to check my Company's record of satisfied customers through the many years I have been in business. Here is a link to our seller feedback profile on ebay (our user name is mosbyrugs). EBAY FEEDBACK. Or check the Better Business Bureau of West Florida. We have an A+ rating. Here is the link. BBB Of West Florida/Robert Mosby. We have clients who buy and sell antique rugs in New York City, Los Angeles, Atlanta, DC, and Chicago etc because our prices are simply more reasonable than oriental carpet dealers in those cities. We ship worldwide. Some of our best clients from Singapore, Hong Kong, Macao, Shanghai, and the EU buy and sell antique rugs from Mosby Antique Oriental rugs. As for my business ethics...they are simple...If you buy a rug and you don't like it for any reason, after a three day inspection period, return it for a prompt 100% refund. I am very knowledgeable about oriental rugs and I'm always available to answer questions about my rugs or to offer suggestions about other resources. Thanks for viewing and please feel free to address any questions you may have to me.